The stadium is designed with a 67,000 seat capacity, with 5,000 additional seats available for special events, and 1,400 seats for fans with disabilities. 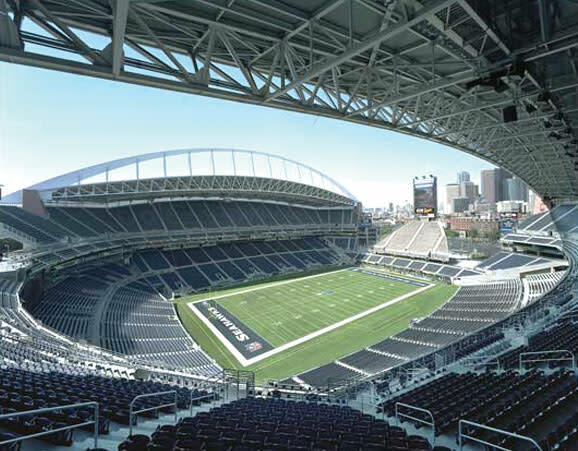 With a roof covering 70 percent of the seating area, fans enjoy wide, comfortable seats with sideline seating a mere 52 feet from the playing field and end-zone seats just 40 feet from the action. The facility also features a dozen elevators and expansive concourses with an ample provision of concessions stands and restrooms. 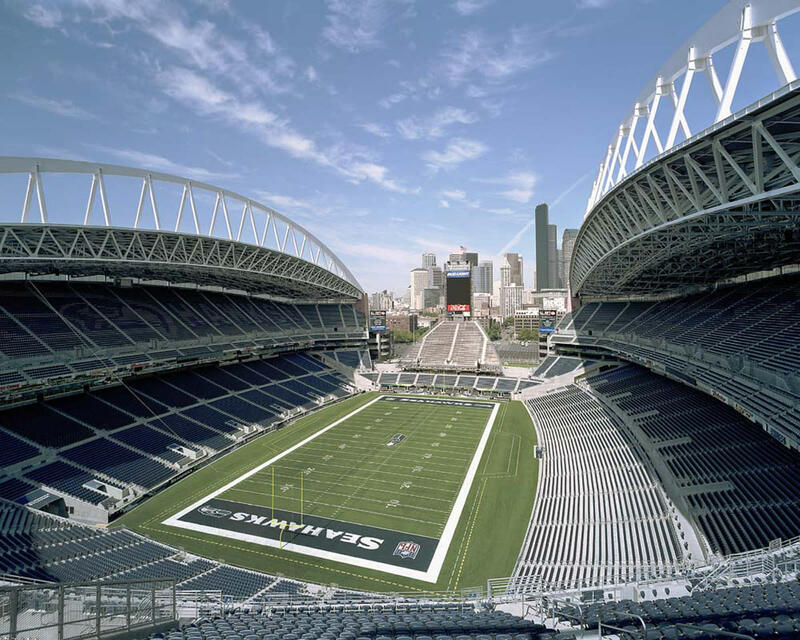 Ideally situated at the junction of I-5 and I-90 and near a light rail station, CenturyLink Field and Event Center is easily reachable by car and many other modes of transportation. For current information on parking and transportation options, please call the Transportation Hotline at 1-800-981-6465. Refer to the general information below to help you plan your visit to CenturyLink Field and Event Center.